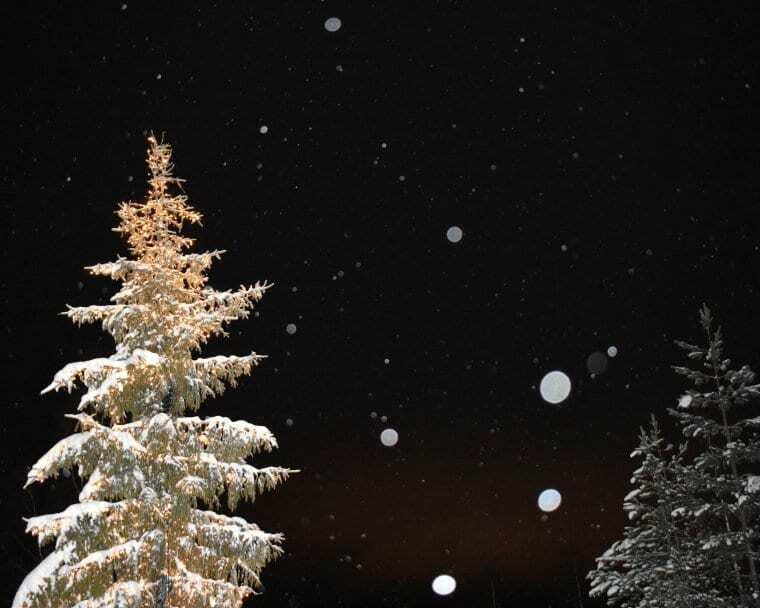 Lapland, Finland is the number one place in the world to experience a true and magical winter wonderland. 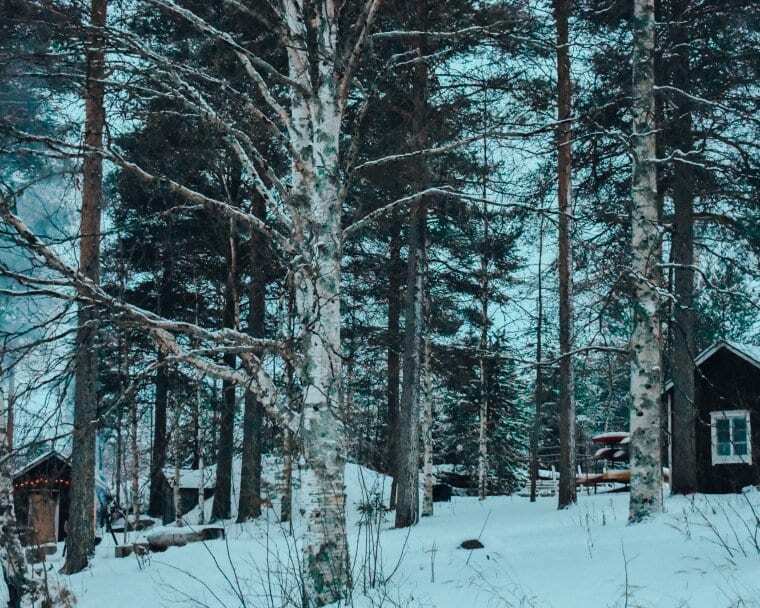 Even though there are no mountains in Lapland, the area is filled with vast forests dominated with enchanting spruce, pine and birch trees that will make you feel like you’re in heaven. 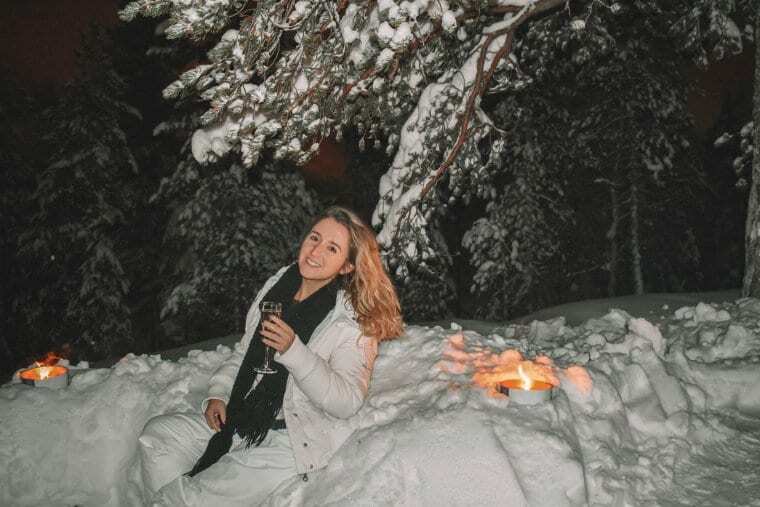 During the wintertime, these trees are turned to a glistening snow white and there is no better way to enjoy the beauty of them than by immersing yourself in traditional Finnish cultural activities. 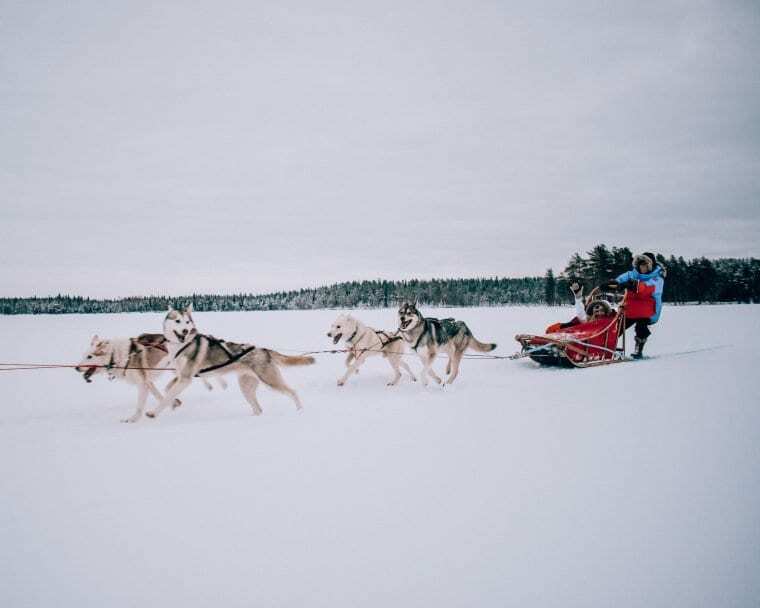 Not only is Lapland the perfect travel destination to celebrate Christmas and the Holidays, it is also a wonderful place to travel to during the months of January through March to experience winter like never before. 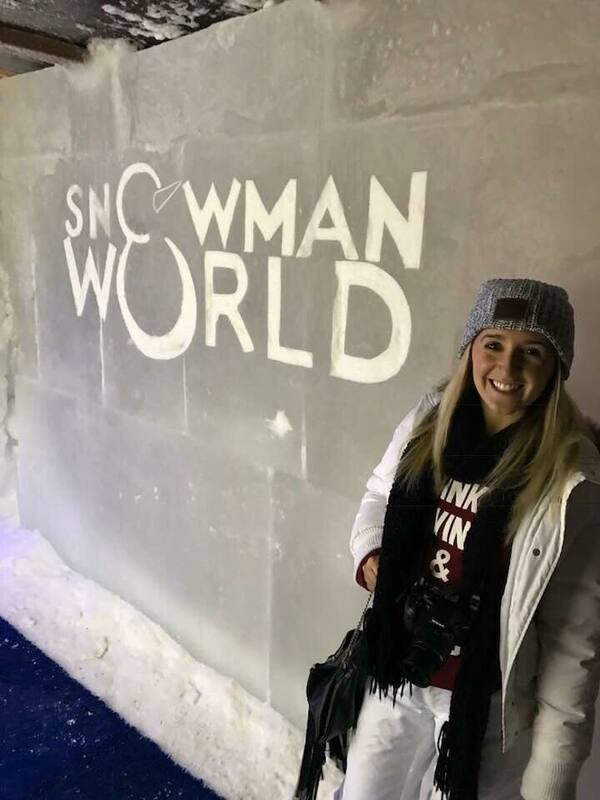 During December 2017, I traveled to Lapland for a week with SitInMySeats Travel. While we were exploring Lapland, we got to participate in Christmas activities such as meeting the “real” Santa Claus; experiencing a five-course dinner in an igloo; sleigh riding with reindeer and shopping through a dreamy Christmas market (check out my blog post on Christmastime in Lapland), we also got to sleigh ride with huskies; practice yoga in a cozy Lappish home; snowmobile through peaceful forests; float in Arctic ice; relax in a sauna; savor traditional Finnish and Lappish cuisine and experience the Aurora Borealis (Northern Lights). I split this blog post up into two. 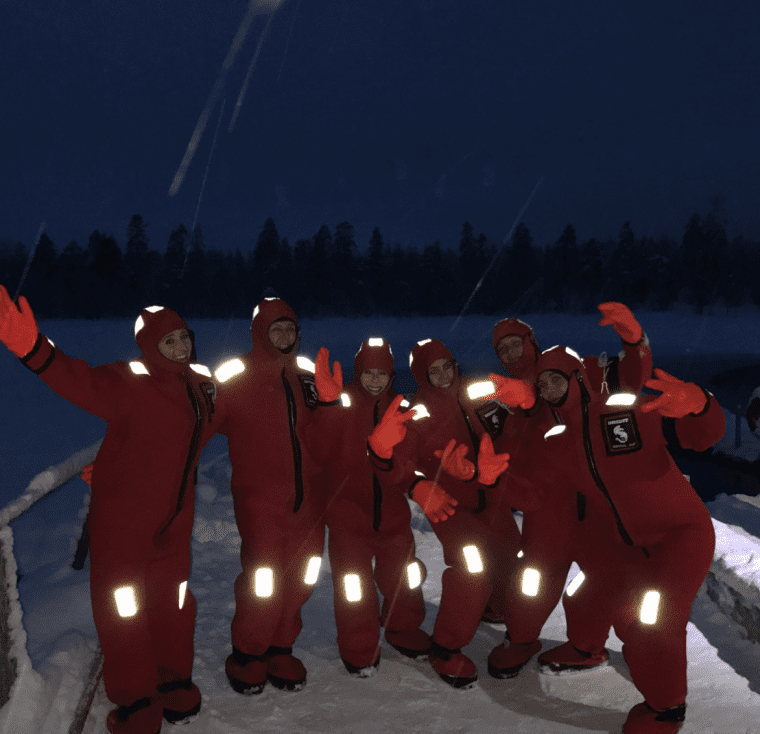 Below, read all about the fun traditional winter activities and adventures we participated in during our time in Lapland. Getting to Lapland from other countries outside of Scandinavia will require you to fly into Finland’s capital, Helsinki. 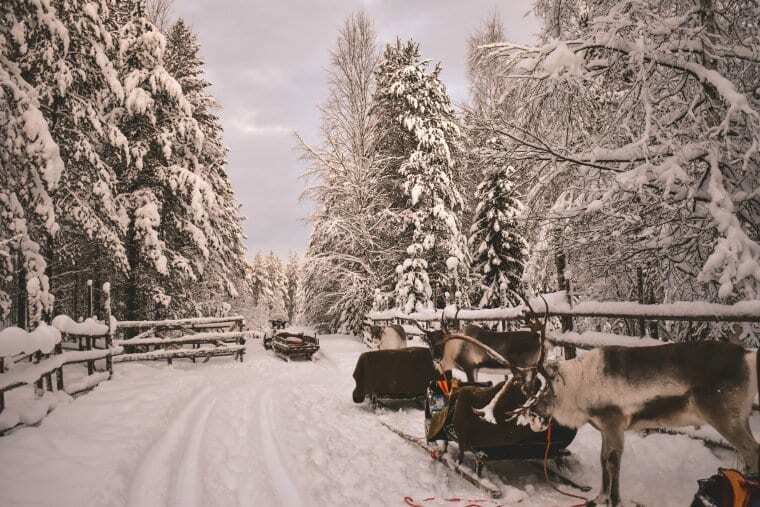 From there, you will get on a short domestic flight that will take you to Lapland’s main city, Rovaniemi. You could find great flight deals through Skyscanner! 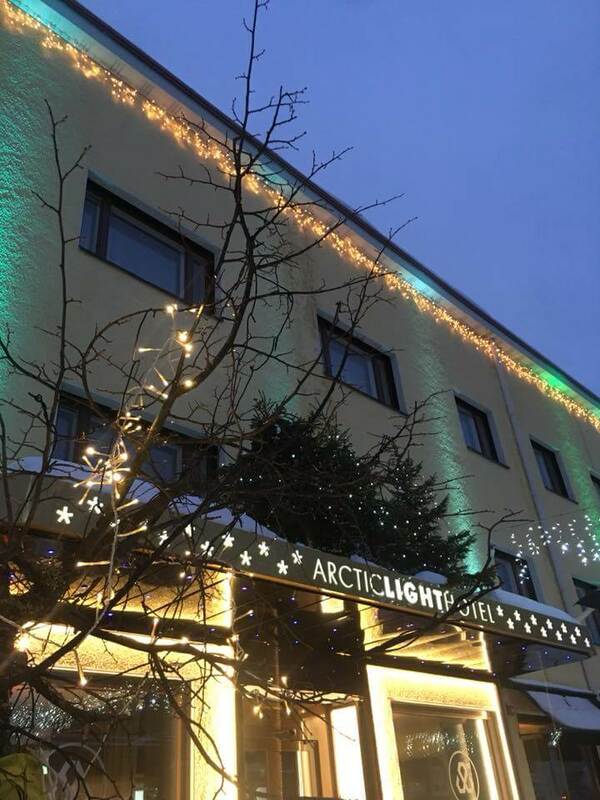 During our time in Lapland, we stayed at the Arctic Light Hotel situated in the heart of Rovaniemi city. The location of the hotel was perfect because it was in walking distance to some great restaurants, Rovaniemi’s Christmas market, a few cozy bars and shops. I loved how the hotel was perfectly decorated for the holiday and it even had lights, similar to the Northern lights, shining on the building. My cousin Alexie and I shared a cozy room that was located on the top floor. It featured sky windows that allowed us to possibly see the Northern Lights from our beds! In addition, the hotel also had an amazing buffet breakfast every morning. Besides the Arctic Light Hotel, there are a variety of different hotel options in Lapland. You could stay in other festive hotels, more modern ones or even in igloos! 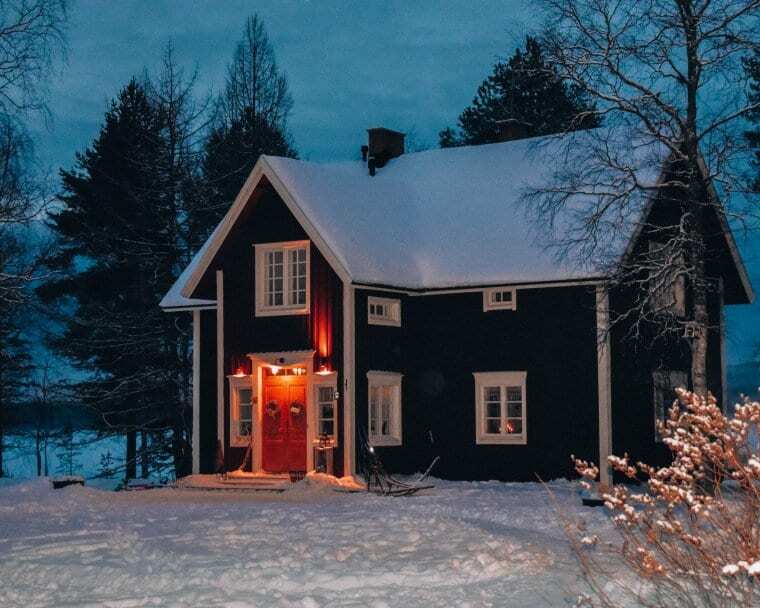 In addition to staying in a hotel, Lapland also has a wide range of Airbnb options! 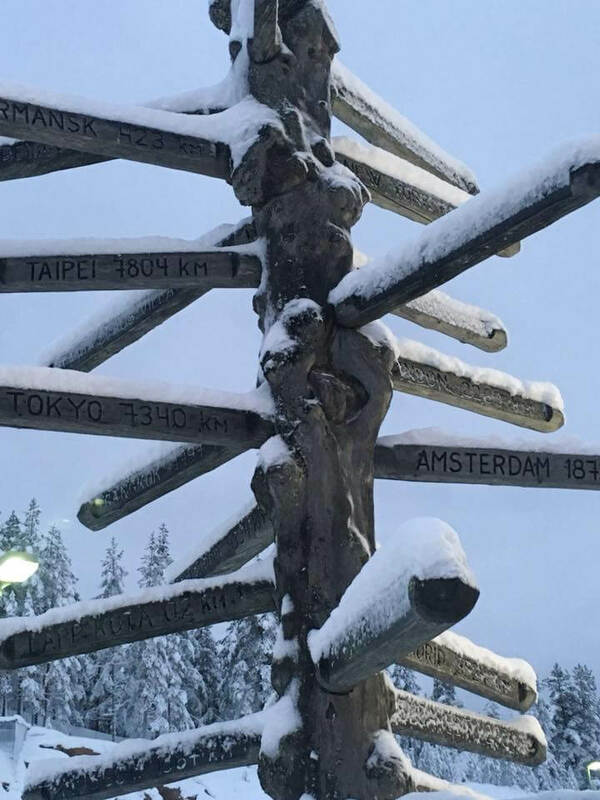 Lapland is located in the Arctic Circle. During the month of December, it is cold and dark! The temperature ranges from 30 down to 10 degrees Fahrenheit and daylight is usually from 11am to 2pm (if even). Don’t worry though, if you are looking to experience Finland’s beauty during daylight, you could travel back during the summertime where the sun is out around the clock! 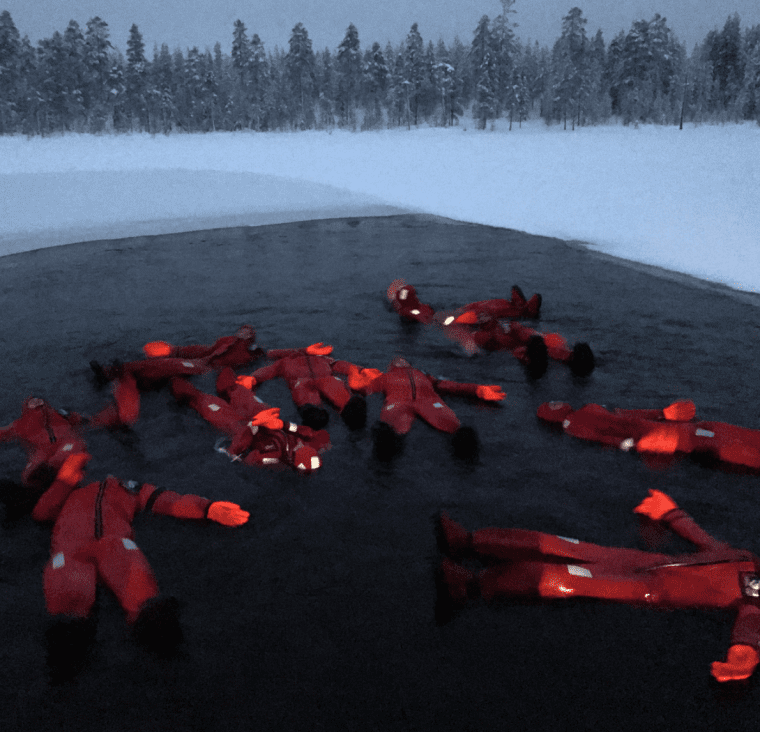 In regards to clothing in Finland, we wore heavy snow apparel 24/7. 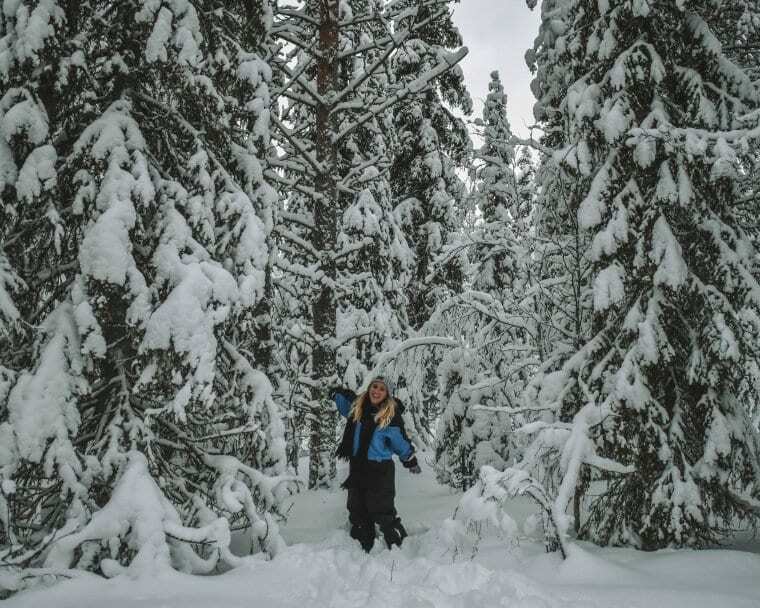 No matter where you go in Lapland, you will be walking in snow that will be up to your knees or higher. You also want to layer too with heavy sweaters because most activities will be taking place outside and you will get cold easily. 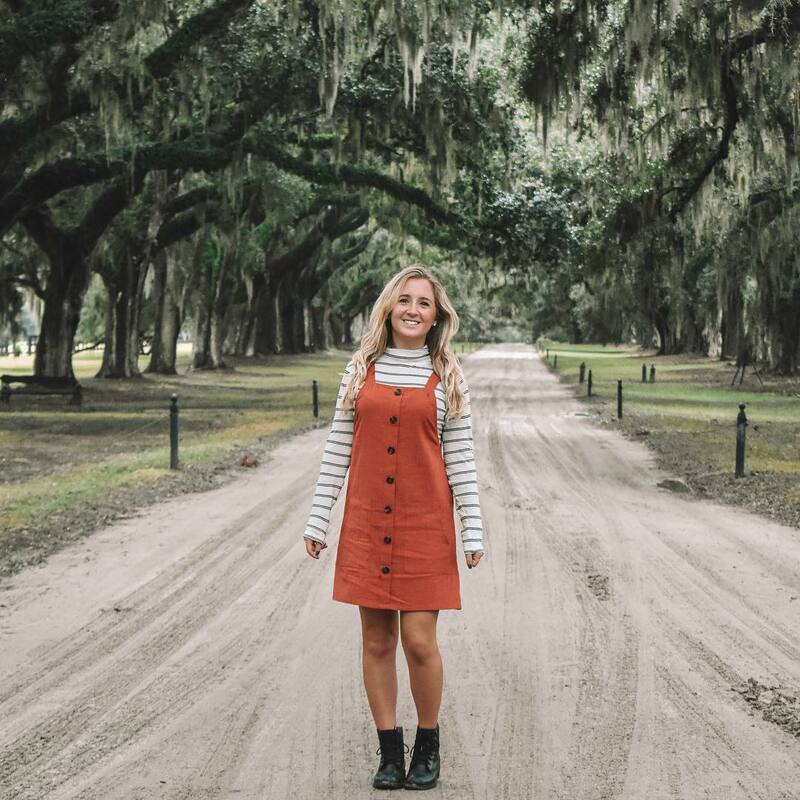 Check out my selection of clothing recommendations at the end of this blog post. 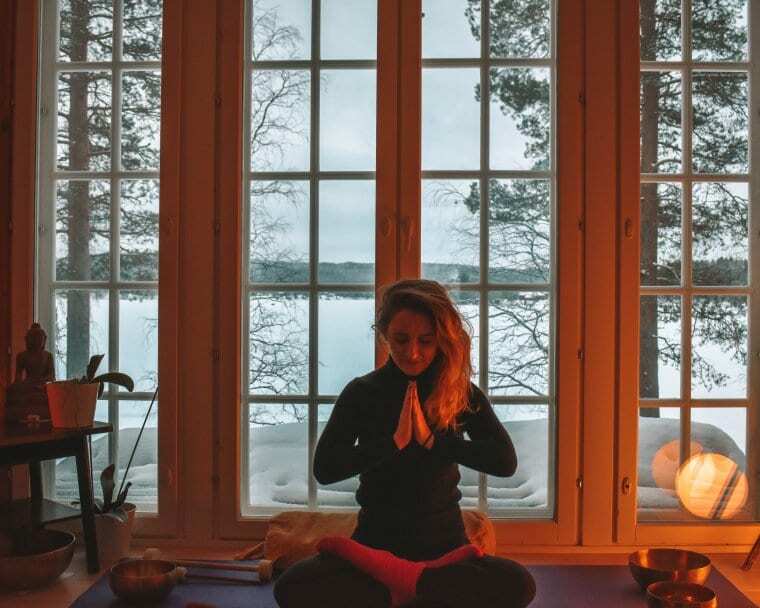 Tuulenpesä is a husky and yoga retreat center located in a warm and cozy Finnish home. During one of the mornings we were in Lapland, we went straight to the retreat center that was located around 20 minutes from the Arctic Light Hotel. When we first arrived, I absolutely fell in love with the property! 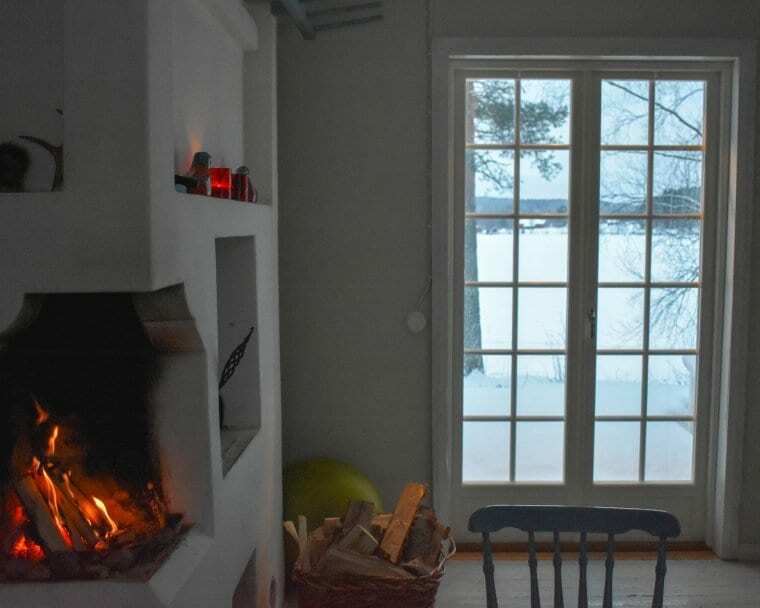 It was secluded in a beautiful Finnish forest, surrounded by snow-filled pine trees, a beautiful frozen lake and a gorgeous Scandinavian house. The owners of the house and husky retreat were two of the nicest people I’ve ever met and they were excited to welcome us to their home and property. When we walked inside, it was the perfect, cozy house to warm up in during the midst of winter. As we got ready to head out into the cold, we were greeted by a few of the owner’s huskies that were happy to get outside and start sleigh riding! 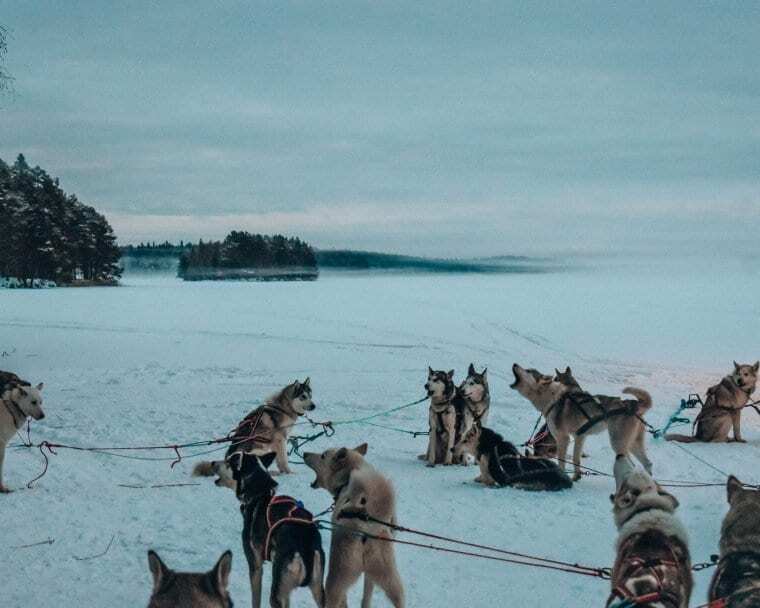 One of the best things about Tuulenpesä is that they have shelter and a lot of space for all of the Huskies to eat, sleep and play! It was such a beautiful place. When we got outside by the frozen lake, we got to pet the puppies for a bit. They loved us! Before we started sleigh riding, we were partnered up with one other person and the owner’s gave us a lesson on how to navigate the sled. 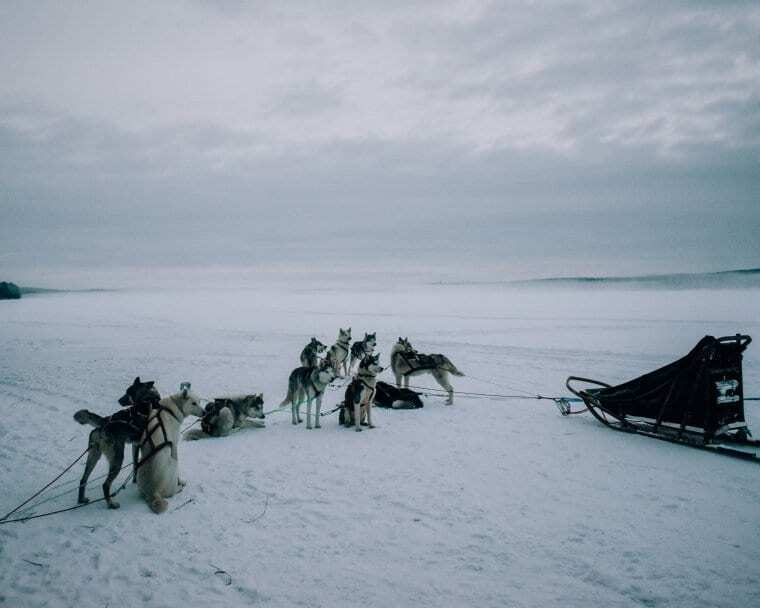 One person would navigate the sled on the back. 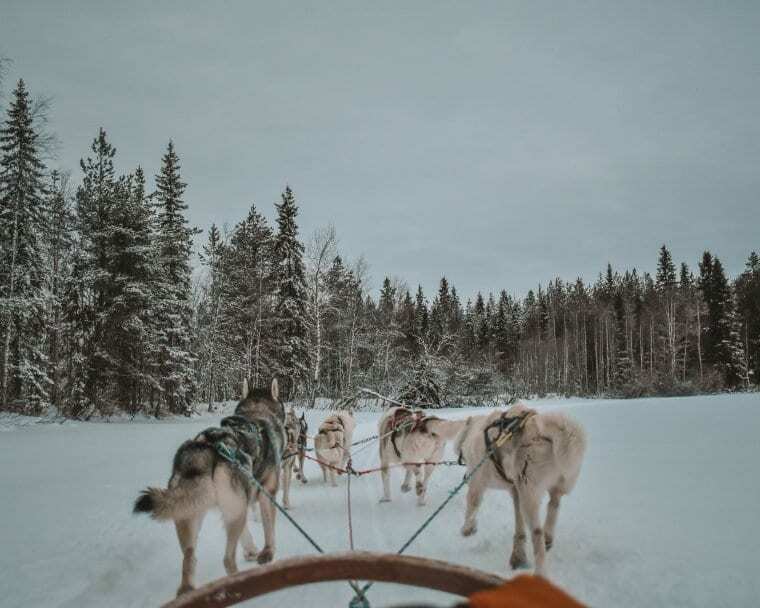 It is different than the sleigh riding we did with the reindeer in my Christmas post. 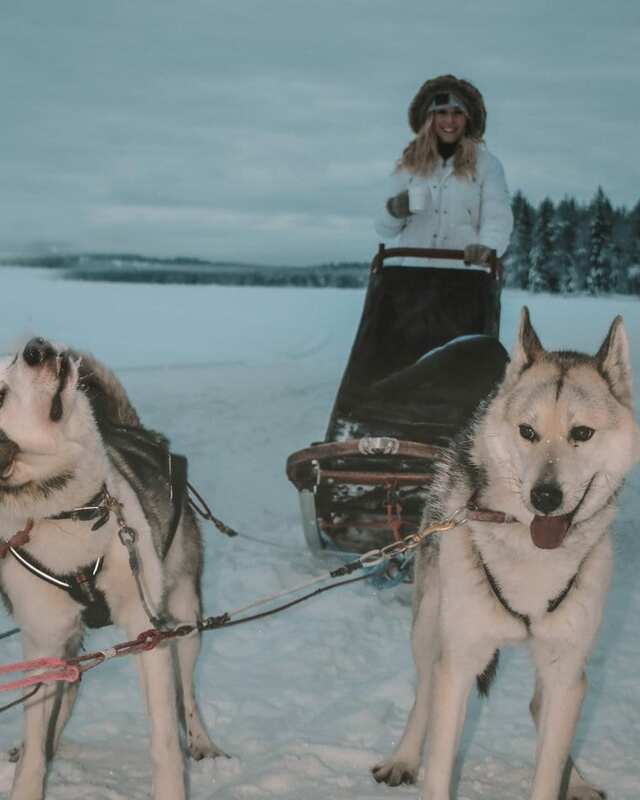 This type of sleigh riding is similar to being on skies, except the dogs do all of the work and all you have to do is press the break pedal to either slow down or stop, because those dogs could run away with the sled (that is how much they love it)! The other person would lie down in the sled and relax. I personally would have rather navigated the sled later on into the excursion, since I had never done this before, but I had to go first. When we first took off, my hat almost fell off, that is how fast the dogs were running. After a while, it ended up being a lot of fun navigating the sled. My group of dogs were definitely faster than everyone else’s, so I got worried when we were behind the others because I was nervous we would hit into them. The scenery was absolutely breathtaking though. I could only imagine how beautiful it is during the fall and summertime as well. 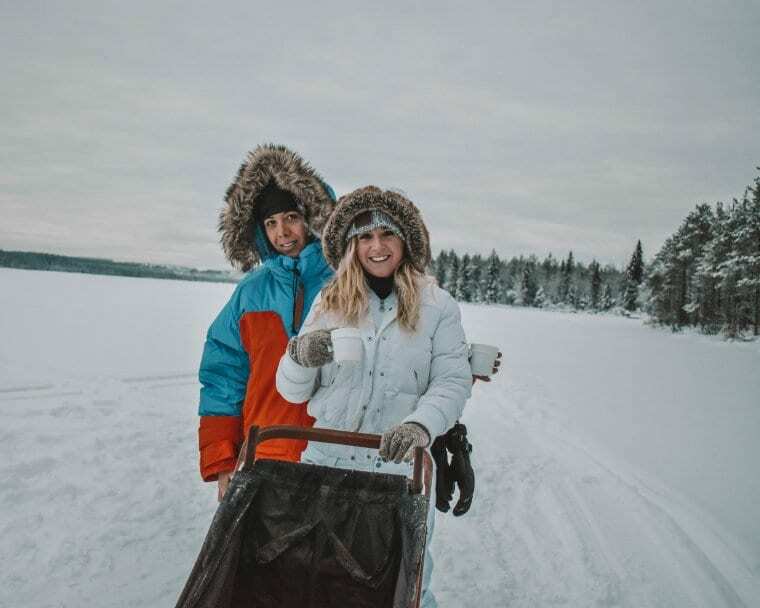 In the middle of our adventure, we stopped in one of the most scenic areas so that we could take photos and the owners even provided us with homemade glögi (a warm spiced beverage) as well as cookies to warm up with. It was the perfect little break! Afterwards, we hopped back into our sleds and this time I was the one to lie down in the sled and enjoy the ride. The sled was very comfortable as it had fleece blankets to cuddle up with. I was able to take great photos while I was in the sled and savor all of the beautiful Arctic nature around me. This adventure was the perfect way to start the day! After playing with the dogs one last time, we made our way back into the house for some restorative yoga with some of the huskies as well as the owners’ cat. 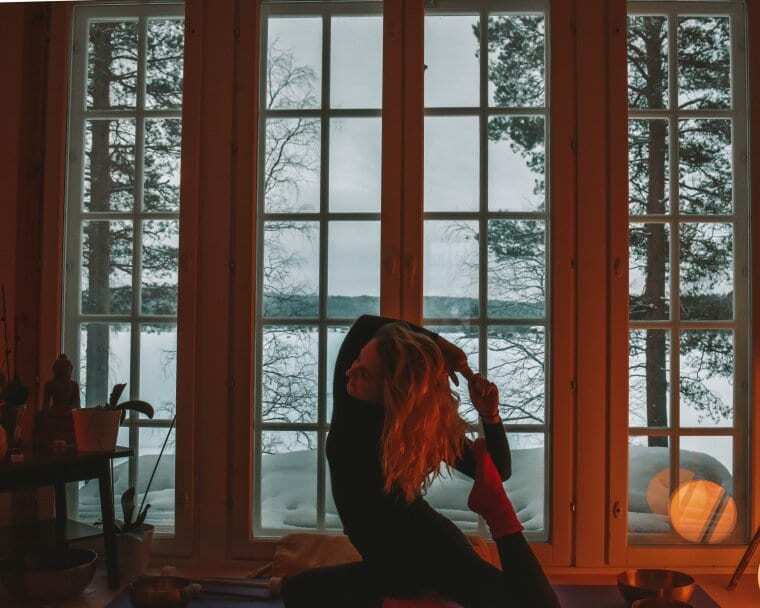 They had the perfect room to do yoga; it was a winter wonderland dream space. It was also the cutest and most relaxing morning I’ve had. I felt so energized afterwards that I am dreaming about being back there right at this moment. When our yoga practice was finished, we went downstairs where the owners had their fireplace going and their table was set for us to enjoy a homemade lunch. Between the fireplace, the candles in the windows, the grey sky outside and all of the warmth surrounding me, I felt at peace. For lunch, we were first given thin and hard grain bread and then the owners served us a hearty squash soup, which complemented the ambiance. For dessert, we were served chocolate cake with a nice cup of coffee. I was so thankful to the owners for making us feel at home in their house. 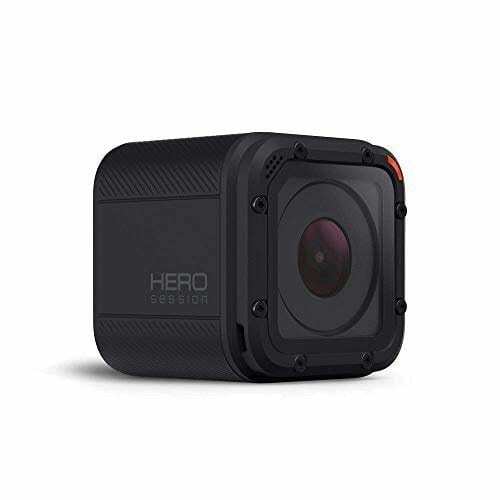 When we got to the log cabin, we were given instructions and a thick neoprene wet suit that we stepped into with our winter coats and pants on. These suits were so thick and heavy that we could barely even hold them. I was hysterically laughing once I jumped in mine because it zippered up to my chin and I felt like a giant balloon. Once I lied on my back, I automatically felt the lightness of my body float on the calm water and it ended up being one of the most relaxing experiences of my life. It was a little chilly, but it definitely wasn’t as cold as I expected it to be. Even though it was in the middle of the afternoon, it was already pitch dark outside. The whole experience was so serene as you could relax, not think about anything and look up to the sky and all of the snow-covered trees all around. My cousins and I had a great time enjoying this excursion together. When we were ready to get out after a half-hour/40 minutes, I had a difficult time trying to climb the ladder to get out as my wet suit was so heavy and my hands were too small for the gloves attached to it. (It was hilarious and I wish someone filmed me trying to get out of the water.) After arriving back to the cabin, it was the best feeling taking that big suit off! The people running the tour gave us glögi (all the glögi!) and homemade gingerbread cookies to warm up with. It was such a fun and memorable activity! 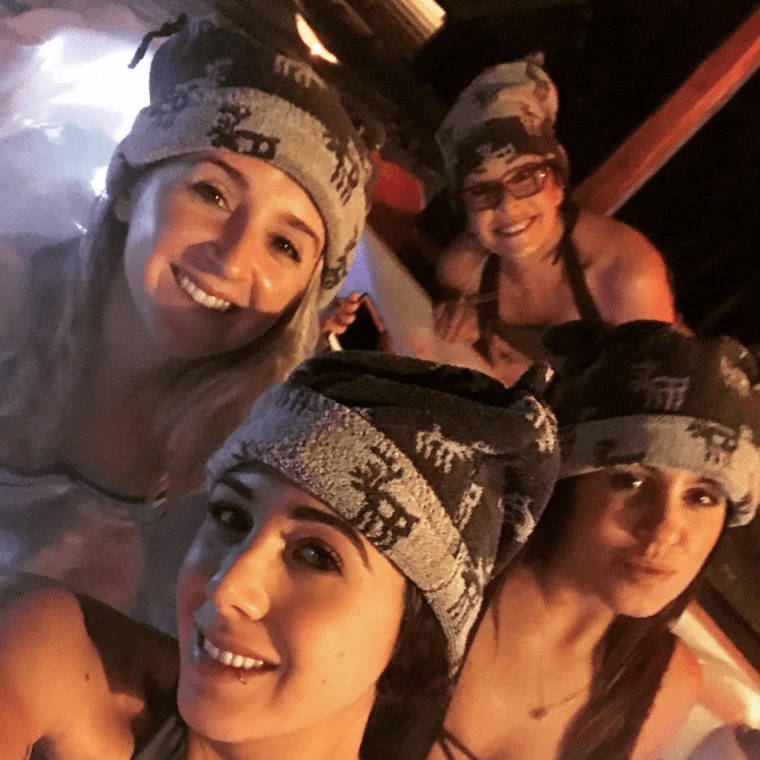 After the coldest adventure, we were ready to treat ourselves to the ultimate Arctic spa experience. Located deep into the forest is another cute Finnish house where we would enjoy a Lappish dinner as well as their hot tubs and saunas. The house had a beautiful, long dining room table that we sat at. We were served glögi with liquor and wine with fresh rye bread. Our main course was reindeer with berries. 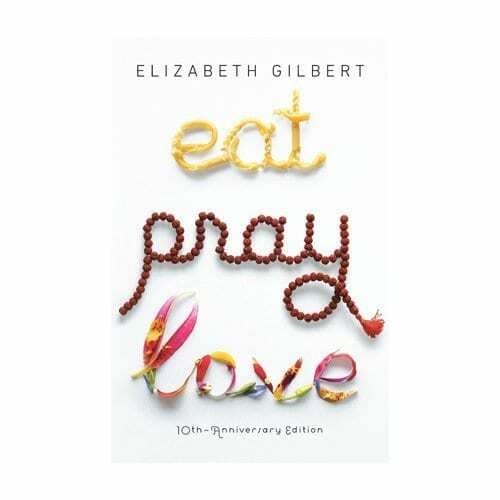 I am not the biggest meat eater and the thought of indulging in reindeer turned me off, so I was hesitant at first. Since we were eating at someone’s house, I didn’t want to be rude, so I tried the reindeer and I weirdly liked it! The reindeer meat was served cold, so it tasted like a thick piece of Italian prosciutto or Spanish jamón. (I was impressed with my taste palette that night.) For dessert, we were served coffee and chocolate cake. When we were finished with our unique dinner, we were ready to get into our bathing suits and hop into the hot tubs and saunas. It was so awesome being in the hot tub while it was snowing outside. 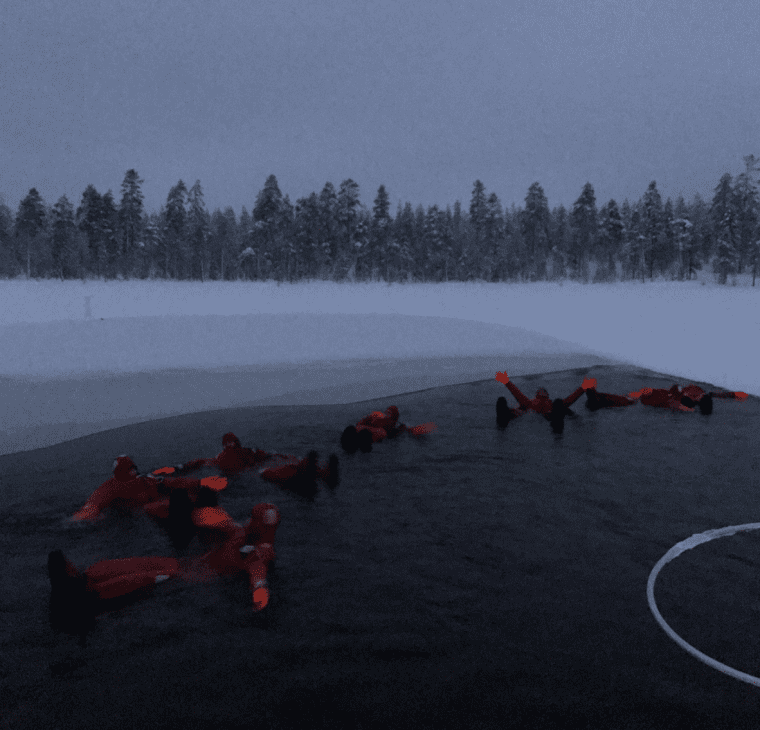 It reminded me of my memorable experience swimming in the Blue Lagoon in Iceland. We had a great time sharing laughs and listening to Christmas music (since it was that time of the year). It was perfect! After spending some time outside, I took a break and checked out the saunas, which were another awesome experience! Before we left, the owner of the house took us for a quick walk around the area and showed us where some of the locals go for winter swims. I was expecting some hidden geothermal hot spring, but it was an enormous frozen lake! 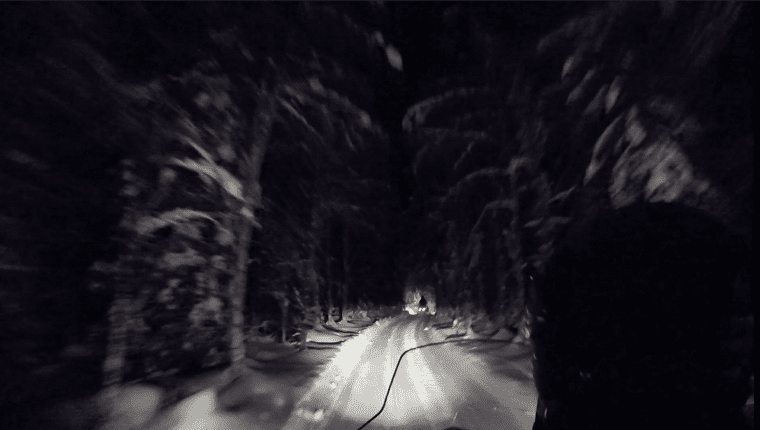 Even though I am a big winter sports person, I had never snowmobiled prior to traveling to Finland. 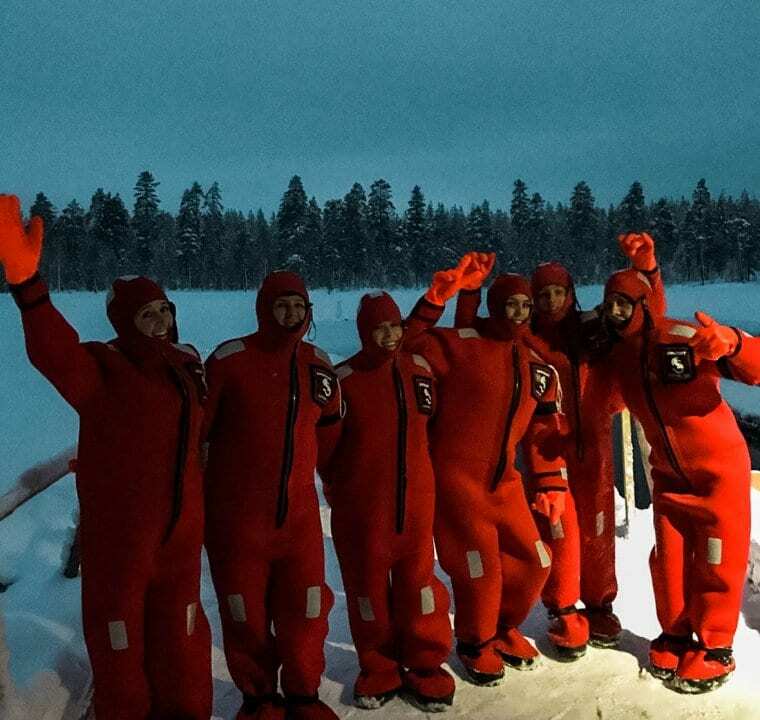 We chose to do our snowmobiling adventure at night through Lapland Safaris. Our snowmobiling excursion was two hours long and it took us deep into the woods! Anyone with a driver’s license is able to drive the snowmobile, but I was more in the mood to stick on the back and enjoy the ride. (My cousin drove.) As we began our adventure, I realized that these Lappish forests are just as breathtaking at night as they are during the day! We drove through both smooth and bumpy paths and we even took a few turns into more narrow trails that took us deeper into the forest. We had a blast! In the middle of our adventure, we stopped to enjoy some food and take a break. There was a teepee and campfire set up that was similar to where we stopped on our sleigh riding adventure with the reindeer (click here to read my blog post on the Christmas activities we participated in). We enjoyed sausage on a stick with bread and gingerbread cookies. I also took the time to realize how silent it gets in the middle of a Finnish forest, especially at night. I feel like I never experienced that kind of “quiet” before in my life… not even in the middle of the Rocky Mountains in Banff National Park, Canada. Not too far from Rovaniemi is a ski resort called Ounasvaara. 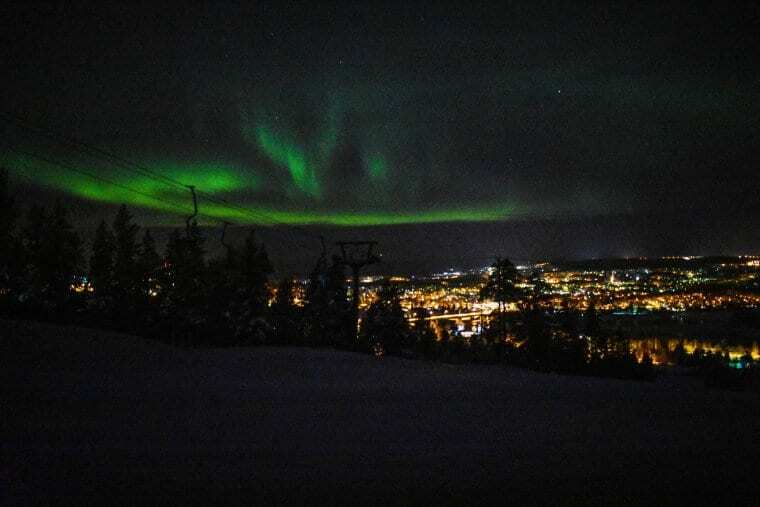 Even though most of Lapland has no mountains, this ski resort offers a small mountain/hill with a few trails that you could ski, snowboard or snowshoe through. Since this ski resort is so small, it is the perfect place for beginners to learn and enjoy. 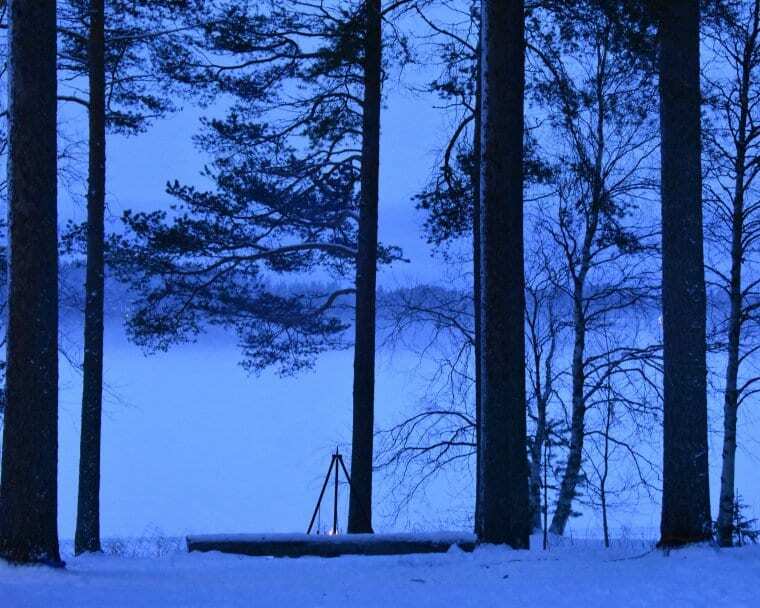 In addition, Ounasvaara also has snow tubing, cross country skiing, tobogganing and more! This resort offers the perfect opportunities to take advantage of something you haven’t done before or learn something new. One evening during our time in Lapland, we had a private Northern Lights dinner in the woods through the Arctic Tree House Hotel, located in the outskirts of the city. When we arrived at the hotel, a van took us into the woods where a fire and wooden shelter was set up for us to sit comfortably while we would enjoy a homemade dinner. Just like all of our other outdoor meals in Finland, we were given fleece blankets to warm up in front of the fire. As we sipped Champagne, we watched our private chef make delicious cream of mushroom soup and a white Finnish fish in front of us. Everything was delicious and super filing! For dessert, we enjoyed a molten chocolate cake with whipped cream. Throughout the same evening into the night, we overheard that there was a high possibility of seeing the Northern Lights in the area. One of the best apps to download when you are in Arctic areas, where there is a lot of solar activity, is Aurora. It tells you the percentage of cloud coverage, predicted solar activity, the areas where there is the highest activity and more! It is helpful if you are dedicated to finding them like we were. Even though we didn’t get to see the Northern Lights during our “Northern Lights” dinner, we did get to see them later on into the evening. 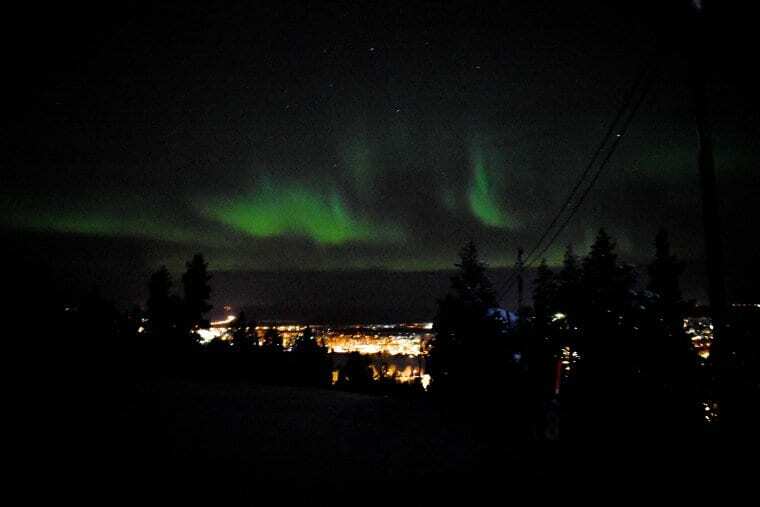 According to our Aurora app, it said that the highest chance of seeing the lights would be between 12am – 2am that night. To pass time, I highly recommend checking out Rovaniemi’s night scene. There are a lot of cozy pubs and bars to relax at and enjoy some delicious Finnish craft beer. A little after midnight, I got a notification from the Aurora app letting me know that there was Northern Lights activity in Rovaniemi! The first place that was recommended to us was the ski resort. The lights started off the same way I saw them begin when I was in Iceland. It starts off looking like a cloud, but the difference is that the Northern Lights are usually curved perfectly. As the Earth rotates, the lights start to change and dance in the sky. It looked like God was painting in the night. We were all so amazed! It was probably our best night in Finland! The Aurora Borealis (Northern Lights) and Aurora Australis (Southern Lights) are the result of electrons colliding with the upper reaches of Earth’s atmosphere causing a natural light display in the sky. 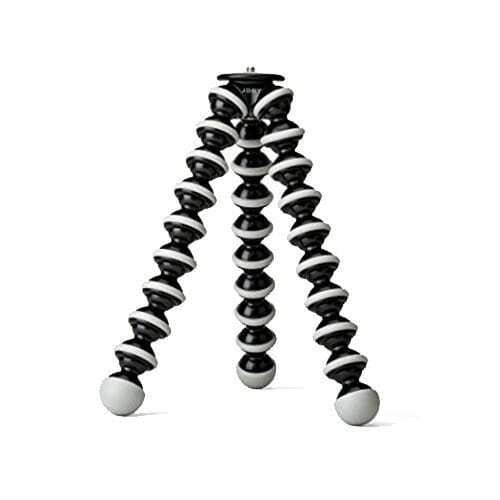 They are usually seen in Arctic and Subarctic areas of the world. I hope you all enjoyed reading about the traditional Lappish adventures we did in Finland with SitInMySeats Travel. 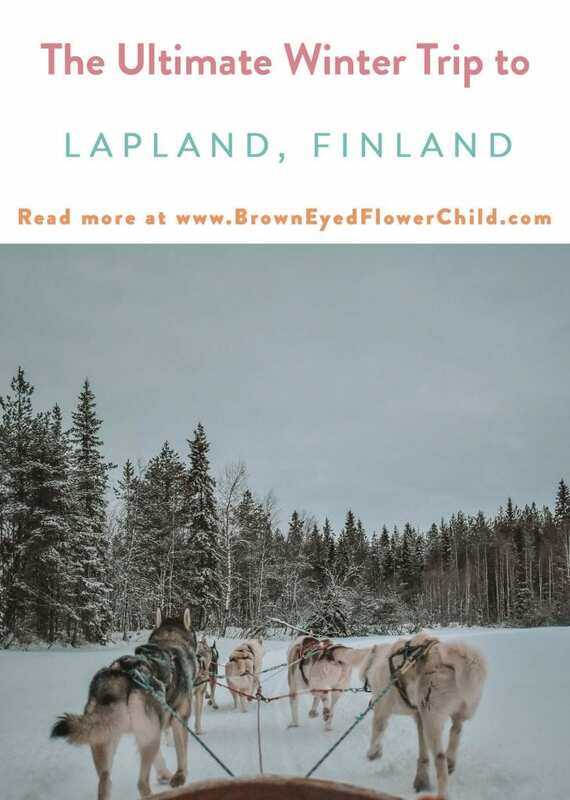 If you have any questions about my magical time in Lapland, please feel free to email me at info@browneyedflowerchild.com, contact me via social media or leave a comment below.